Just like every year, this year Huawei has launched two variant in the P-series that includes the high end P30 Pro and another is P30 that offers new camera technologies and competitive performance. Let’s explore the highlights of this phone, that includes its 6.1-inch OLED FHD+ HDR display, connected with an in-display fingerprint sensor. From the photography section, this phone comes with triple camera setup of 40MP RYYB SuperSpectrum main camera + 16MP Ultra wide angle sensor + 8MP 3X Optical zoom with optical image stabilization. 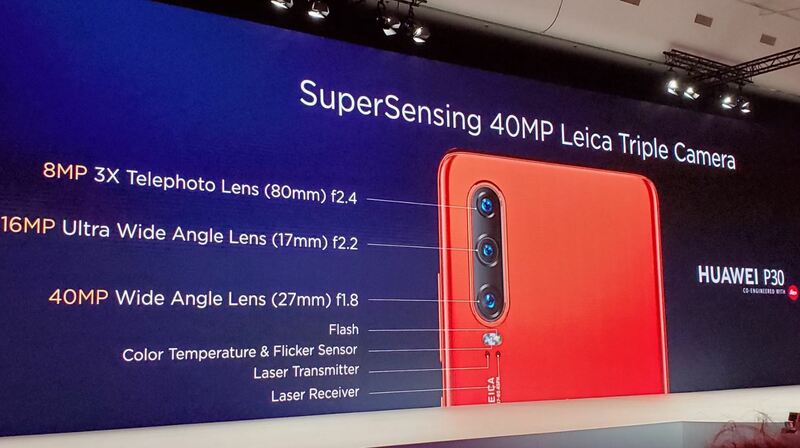 The front facing camera is similar to P30 Pro which is a 32MP selfie cam. Talking about the battery of this phone, which is a 3650mAH that support 25 SuperCharge but no reverse charge. Moreover, the phone runs on EMUI 9.1 on top of Android 9.0 Pie and powered by Kirin 980 processor. Unlike P30 Pro, P30 comes with 3.5mm headphone jack and available in 5 newcolors.